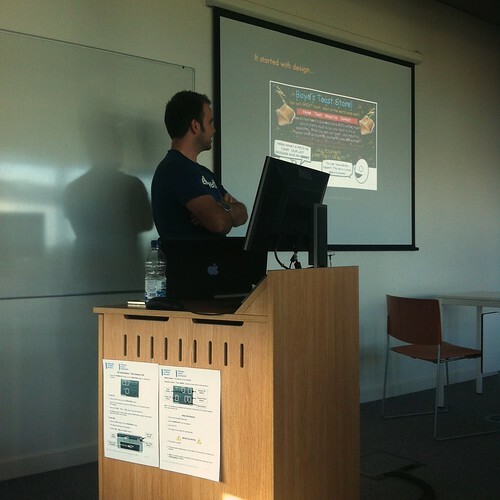 Many thanks to everyone who came along to the first of the free “localhost” events. Thanks also to the superb speakers; Ollie Wells, Ben Reid & Rob Mills (links here). Thanks also to Rich for helping out on registration. If you have any photos etc of the event then please let me know. The Autumn Localhost will happen on the evening of the 29th of November so set your diary for that (tickets not on Eventbrite yet). If you would like to speak at an upcoming event , or would like to hear about a certain web related topic etc; then please shout out. p.s. and thanks for all the lovely feedback 🙂 e.g. Great talks from @olliewells, @benjaminreid and @robertmills tonight @port80events localhost meet. Thanks to @joel_hughes for organising it! Big Thanks @port80events for a fantastic evening of Web-folk networking I.R.L. 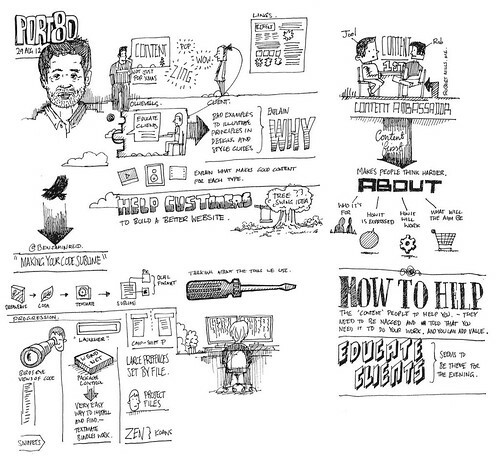 Great talks by @olliewells, @benjaminreid and @robertmills. We’ve got the first, free localhost event coming up on the 29th of Aug and I have to say that I’m really excited about the speakers & topics. The event will be at the University of Newport, City Campus (same as main #Port80), is 2hrs max from 18:00-20:00 and then we’ll probably head over to Ye Olde Murenger to carry on the festivities. Ok, let’s take a look at who’ll be treading the boards..
We as designers and developers have a responsibility to our clients to educate them in how to maintain a fidelity of design through the use of content. I will go through some examples of how content can ruin a great design, and some key tips and pointers to pass onto clients to get them thinking in the right way about the content they are adding to their own sites and applications. Ollie runs a team of front end ninjas at Sequence in Cardiff. He’s responsible for coming up with the best way for users to interact with content on websites and in web applications for Sequence’s clients. With a mixed bag of skills under his belt, Ollie’s main passion lies in always making something to the best quality it can be. Ollie lives with his lovely wife near Bridgend. When he’s not saving the World (Wide Web) , he likes mountain biking, snowboarding, playing guitar and meeting people for a beer. Just not at the same time. Although he probably could. If he wanted to. I’ll be giving a whirlwind tour of the up and coming editor, Sublime Text. Whether you’re new to coding, or a hardened vet’, this great editor has something for everyone. I guarantee to show you some tips which will shave away your development time and how to make those menial tasks disappear. So, an editor that essentially gives your longer to live; cool eh? I’m a web developer from Bristol, UK. Proudly part of the @aardmandigital team. Also a keen guitarist & photographer. Rob will talk about how Bluegg have banished lorum ipsum and adopted a content first approach for web projects. He’ll discuss how they implemented this, getting clients on board and the impact it has had on projects. So that’s the line up folks, cool huh? The good news is that tickets are free. The bad news is that there are very few left! If you want come, I’d book now. Next up on the Port80 event diary is the first localhost event – these are the small scale, free, evening based affairs. If you want to come along then best pull your finger out as 16 tickets have gone so far and the room at Newport Uni can only hold about 25 tops. Hi all, I’m pleased to finally get a date for the first localhost event. If you remember these are free, evening events just to have a bit of a meet up and to discuss a few things web related. Apologies for the delay with this but I’ve had the devil’s own job finding a nice place in central Newport with WIFI etc. The university is a wonderful building but it’s slightly tricky to book. It’ll kick off at 18:00 and be finished by 20:00 (I would have preferred 9 but the building closes early during term time). We’ve got a nice room at the Uni (no, not the same lecture hall that Port80 was in), just a small tutorial room with a projector etc.